At BDF Ingredients we aim for top quality and excellence in our range of products. 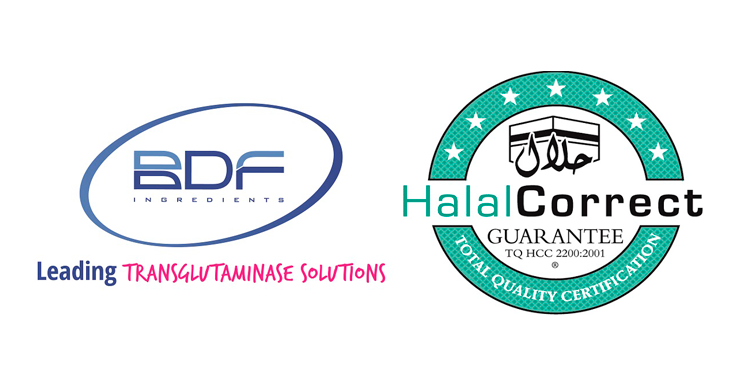 Our broad vision means that we can adapt to markets and cultures across the globe, and for this reason we have decided to work with HALAL CORRECT certification body. This organization is recognized by even the most rigorous Muslim authorities and is highly respected at an international level. For BDF, this professional relationship is a step into the future, as we will be working closely with the most widely-acknowledged food standards authority in the Muslim world. We are also happy to inform you that we have decided to incorporate our range of LyoCulture Starter Cultures to the HALAL CORRECT certification standards, as well as our Probind Transglutaminase and Binder Alginates, which have already been approved by this prestigious body.